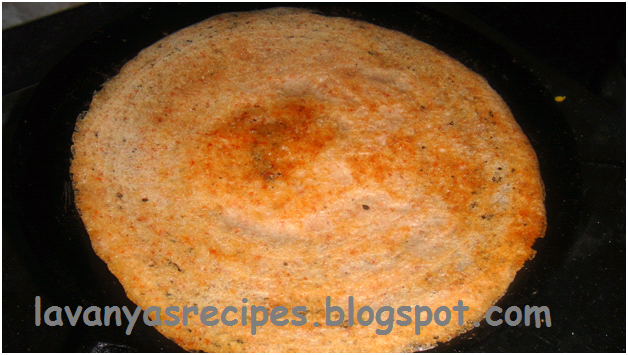 Jowar Dosa was used as staple food in ancient days. Nowadays its usage is reduced. Jowar is rich source of fiber. It is less in cholesterol. This is an important source of vitamin B complex. In our home we usually make this dosa once in a week. 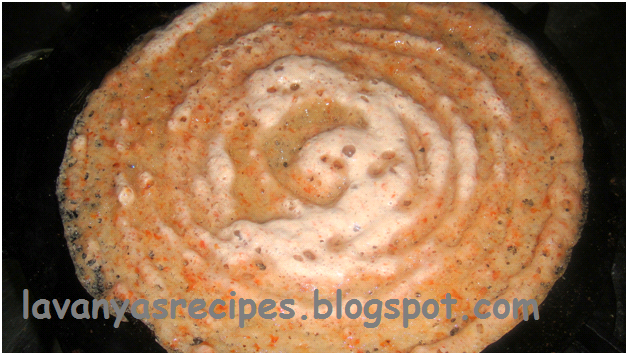 This is a healthy and easy to make dosa. 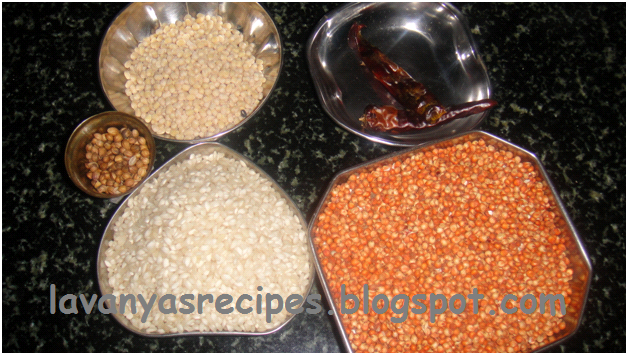 Wash and soak rice, jowar and urad dal separately for about 4 hours. Grind all together with chilies and coriander seeds. Mix required salt and let it ferment for 6 hours. Heat the tava, pour a ladle full of batter and spread into a thin dosa. Add a spoon of oil and cook on both sides. The delicious jowar dosa is now ready to be served. 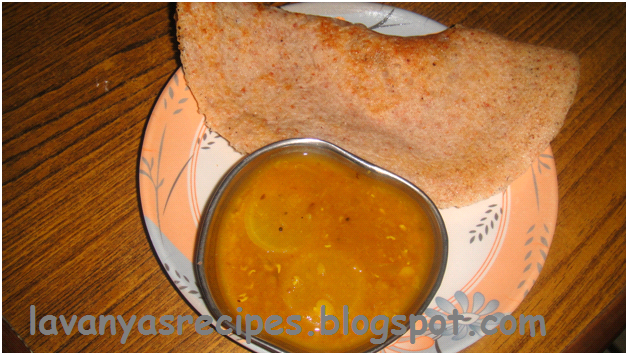 Serve the joward dosa with sambar / coconut chutney. Ferment the batter for atleast 4 hours. 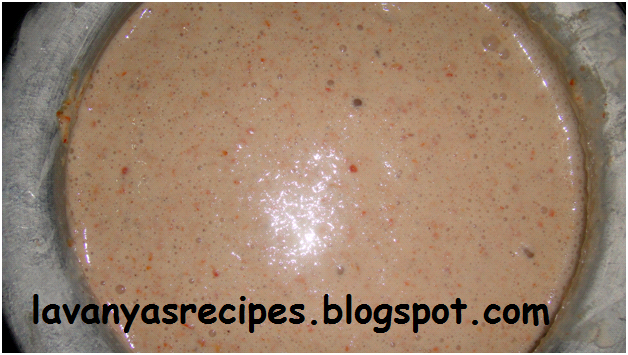 The batter can also be made without coriander seeds and chilies.